In the opposite result from Bahrain, Mercedes locked out the front row ahead of Ferrari with their car's advantage in Shanghai's corners outweighing their Italian rivals' power on the straights - with the final pole advantage 0.3s in the world champions' favour. But ahead of a race which has often proved as action-packed as it has strategically challenging, neither camp believes the weekend's tone has definitively been set yet. "It's certainly an interesting constellation," said Mercedes boss Toto Wolff. "We have the two Mercedes' in front with each of them very keen to win. It's about the championship. "Then behind you have a battle of the generations with the red [Ferrari] ones. And Max [Verstappen] will be keen to recover. The start is going to be very exciting - I hope not too much!" Not a Sky subscriber? Watch the race on NOW TV! 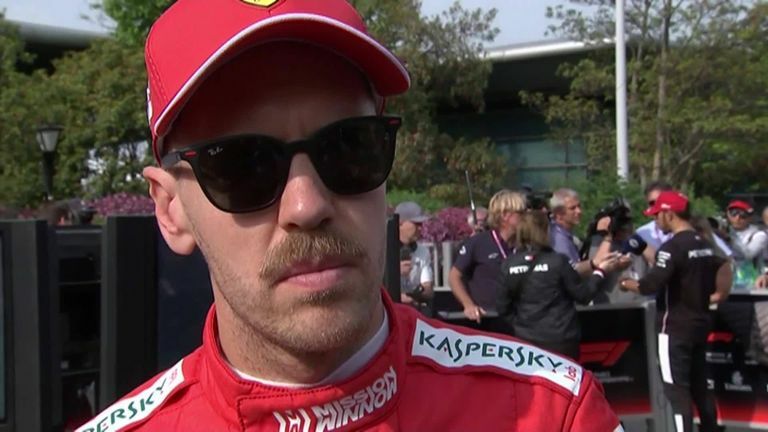 Sebastian Vettel, who starts as the lead Ferrari in third behind polesitter Valtteri Bottas and Lewis Hamilton, insists everything is still to play for. "I think it will be very close," he told Sky Sports F1. "It's a long race and I expect Mercedes, Red Bull and us to be head to head." 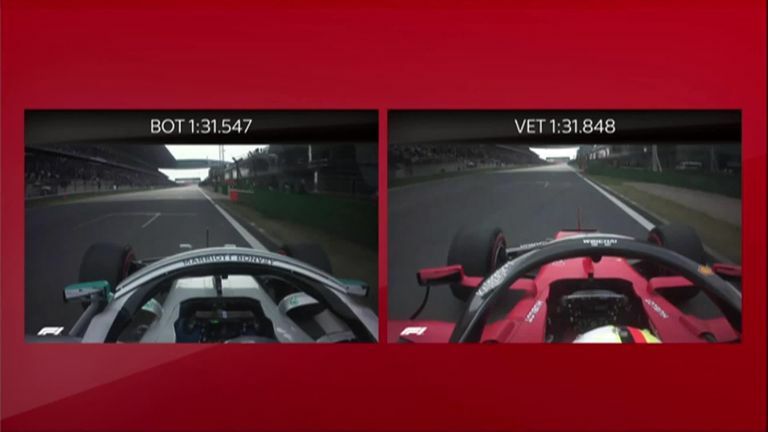 Sunday's race starts at 7.10am on Sky Sports F1, Sky Sports Main Event and Sky One, with build-up from 5.30am Full race repeats begin at 10am on Sky One and Main Event, and 10.30am on Sky F1. Will Ferrari's straight-line speed ultimately tell? In the wake of Bahrain, when Mercedes could not live with the outright power of the SF90, Ferrari's superior straight-line performance, particularly at the end of straights, has been the talk of the sport. In Shanghai, Mercedes believe that advantage equates to three-and-a-half tenths per lap. "They are quick in the straights and there are some very big straights here," said Bottas. "For sure they are going to be a very big threat. They are going to have a good race pace as well. It's going to be a tough fight for the win but we are going to fight for it." Yet Ferrari have pinpointed where they believe Mercedes' W10 is making the overall lap-time difference. "Slow speed corners is where they are gaining on us and they seem particularly strong," added Vettel. "Not all the corners, mostly low speed." Vettel added: "They seem to be faster in the corners so if we can hang with them we have a chance on the straights because we are faster. But it's not like we are 50kp/h faster and we just sail past." With that in mind, Wolff has said ensuring Bottas and Hamilton do not compromise the team's overall chances by focusing too much on their own front-row battle early on will be an inevitable pre-race focus. "This is a very important discussion to have," added the Mercedes boss. "We have had that discussion since Monza 2014, the race after Spa [when Hamilton and Nico Rosberg collided], so it's part of our normal procedure." The world champion was ultimately pipped to pole by Bottas on the final Q3 laps, yet even second place had looked as though it might be out of Hamilton's reach through practice and the early stages of qualifying. 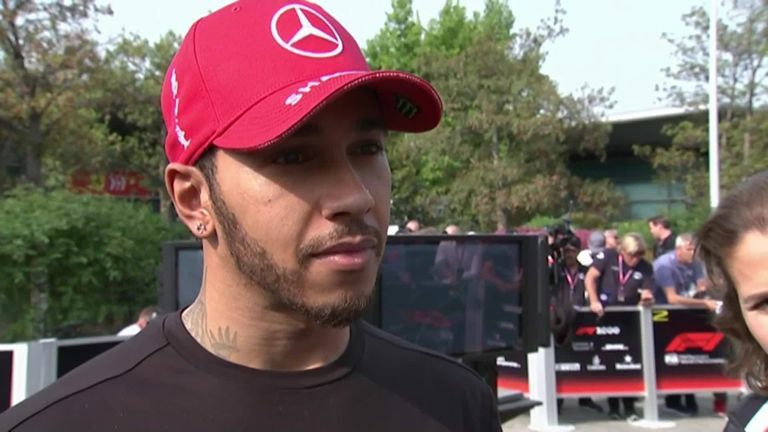 "I've just been fighting the car," Hamilton told Sky F1. "This is a track that usually I do very well at but I seem to have lost quite a lot performance here the last two years. Even this weekend... it's not been the strongest of circuits for me. "But as I continue to understand the tyres, which is something that everyone's trying to understand race by race, you learn a bit more." He added to reporters: "Starts have not been my strength so I need to try and figure out if I can pull a good start out tomorrow. That's the key."